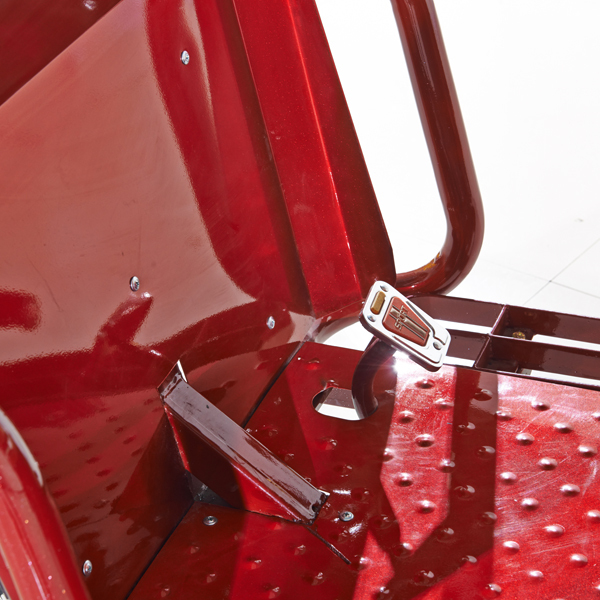 The comfortable seater for passengers . 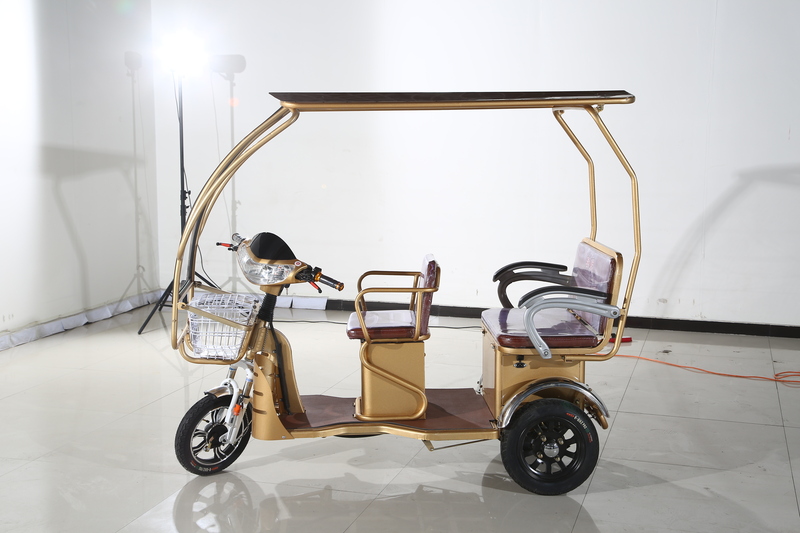 The eazy drive type for passenger . 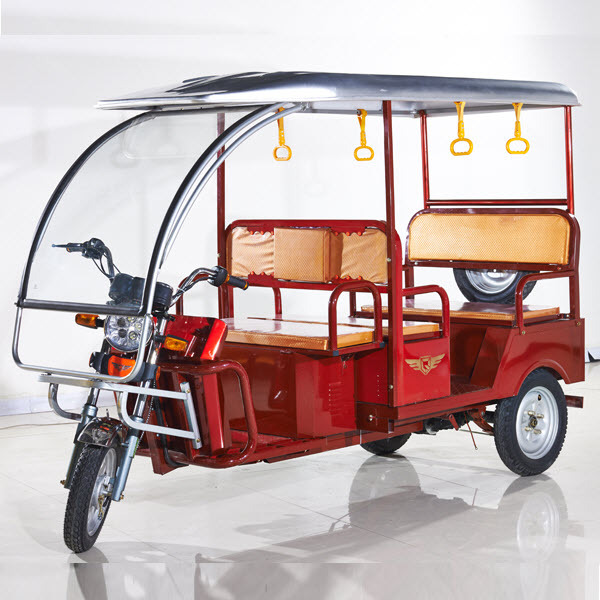 It is good for environment ,no pollution ,no noise . 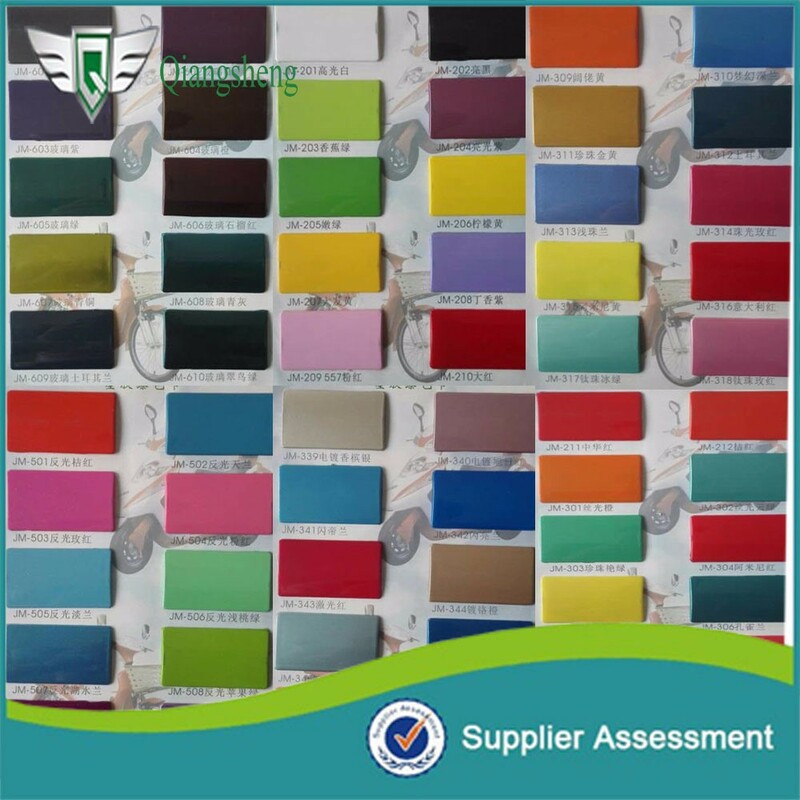 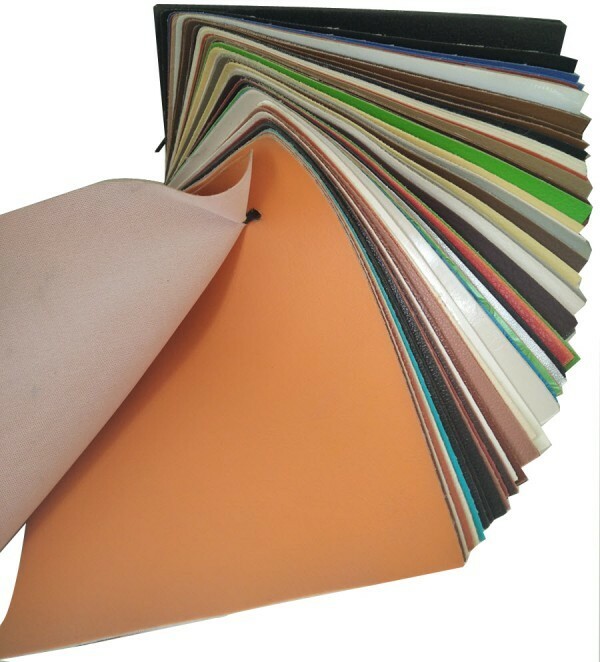 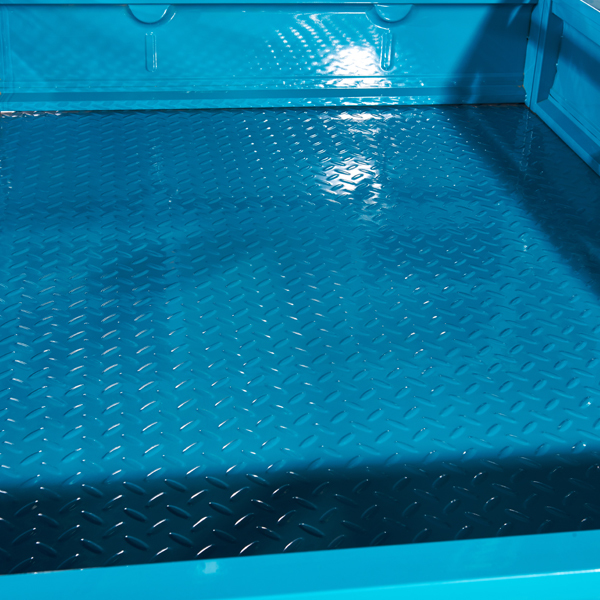 There are many color you can customzed! 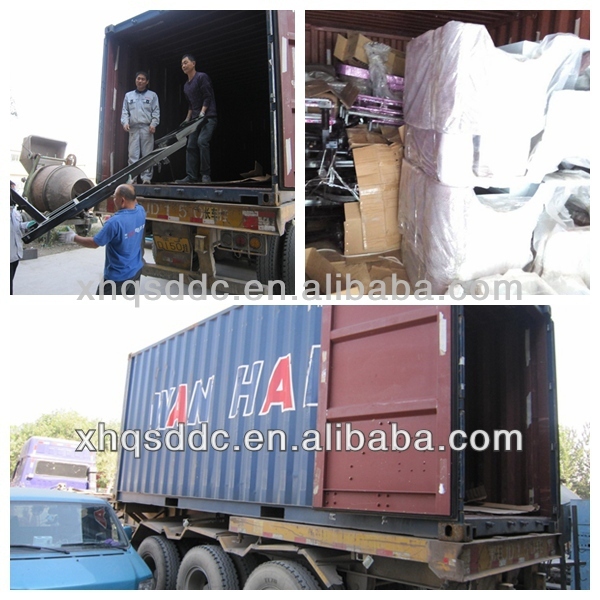 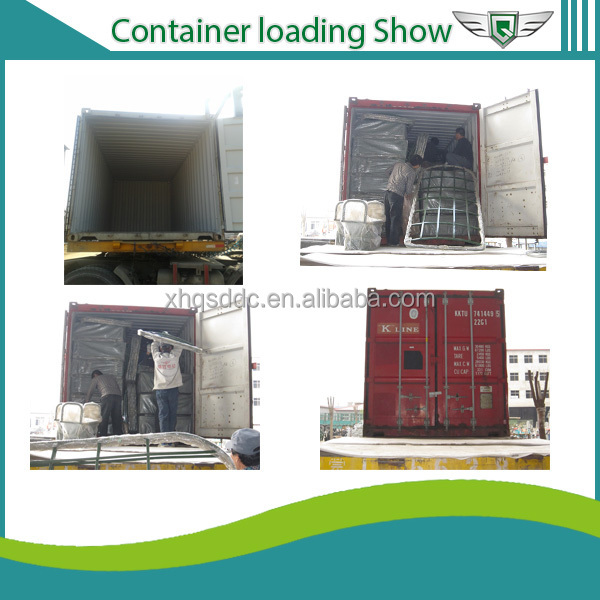 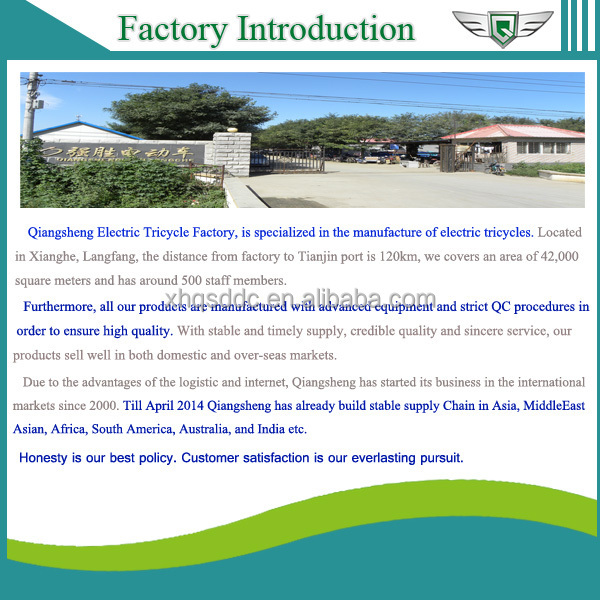 1.our custmer service is online 24 hours and can reply to you atthe first time . 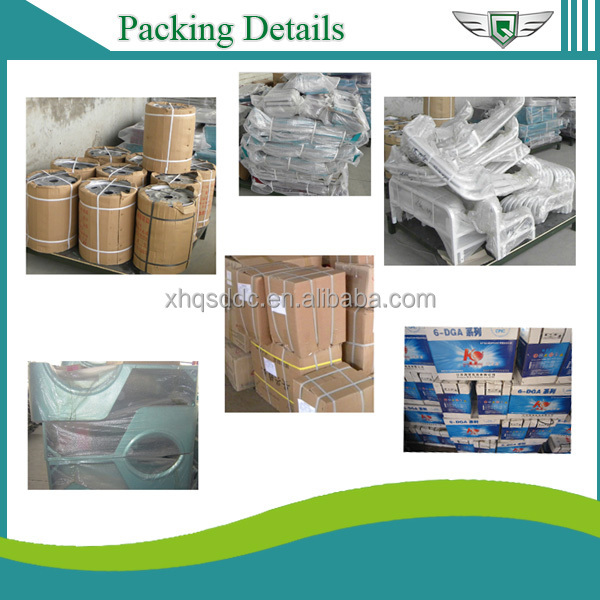 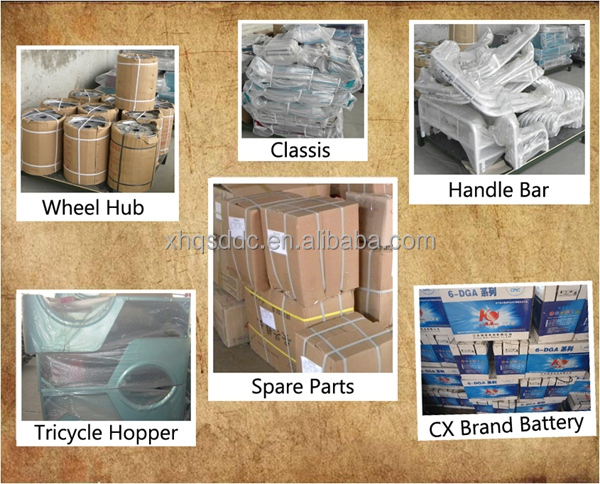 2.you can decide to place order when you are satisfied at any time . 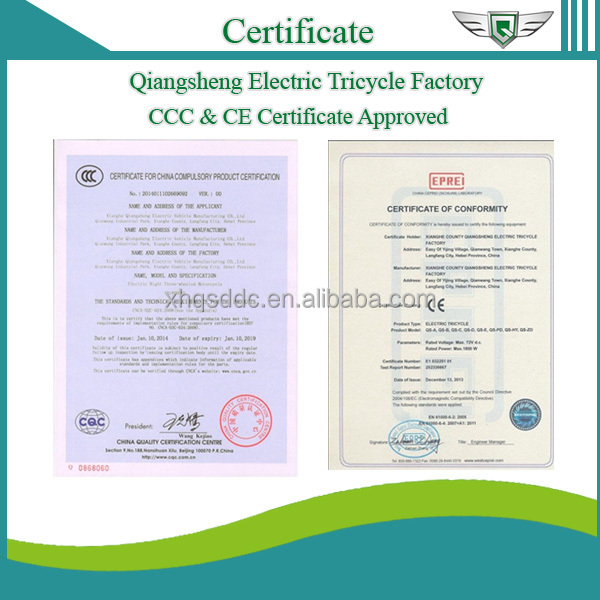 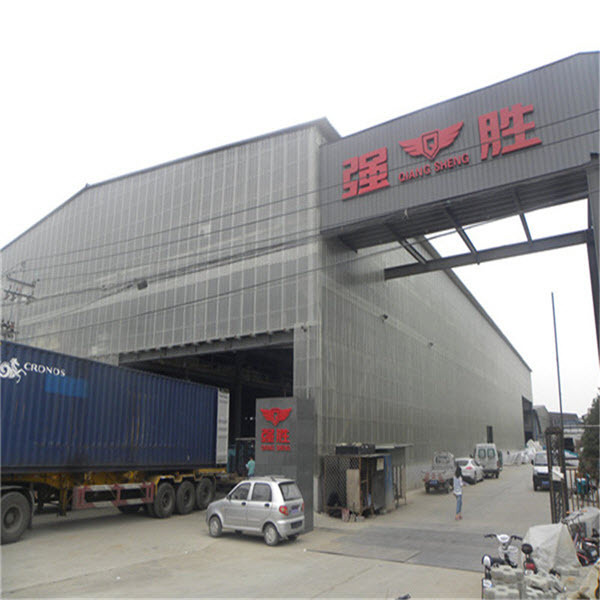 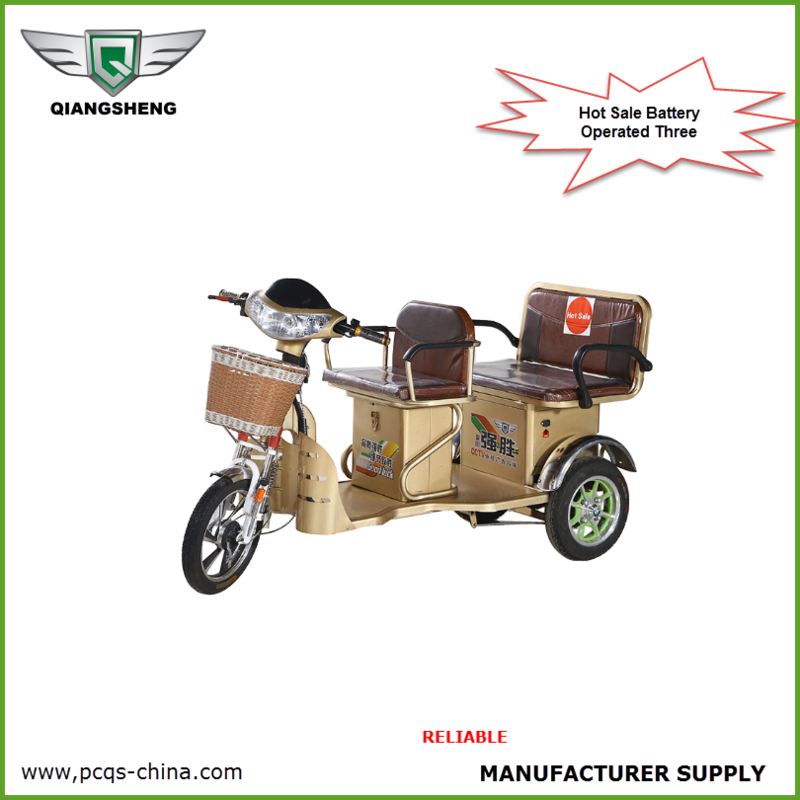 3. we can guarantee the quality of the produts and try our best to meet your requirement ,if the motor or the battery have any problem within 18 moths ,which caused by non-artificial reason we would exhage it freely. 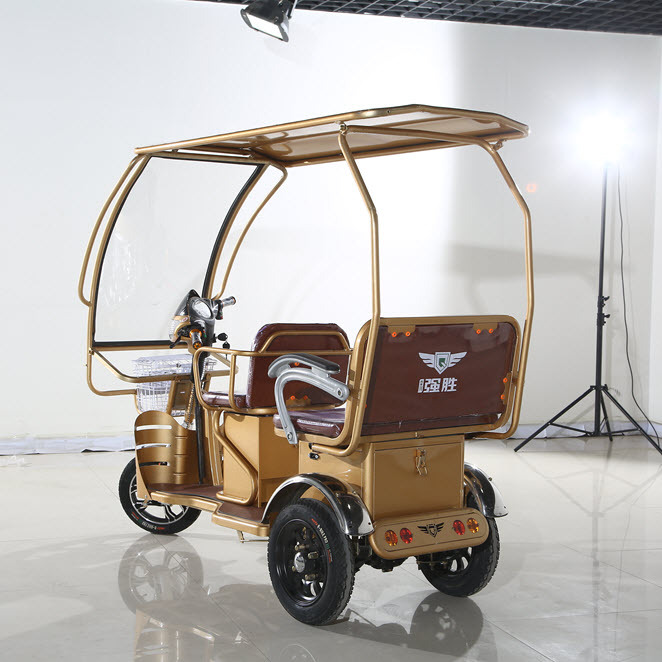 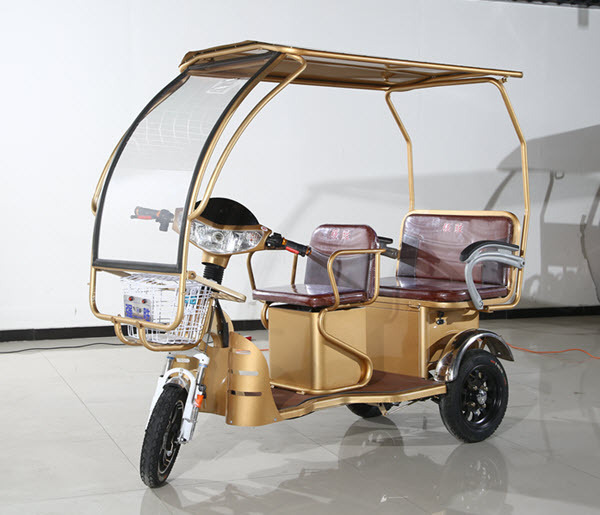 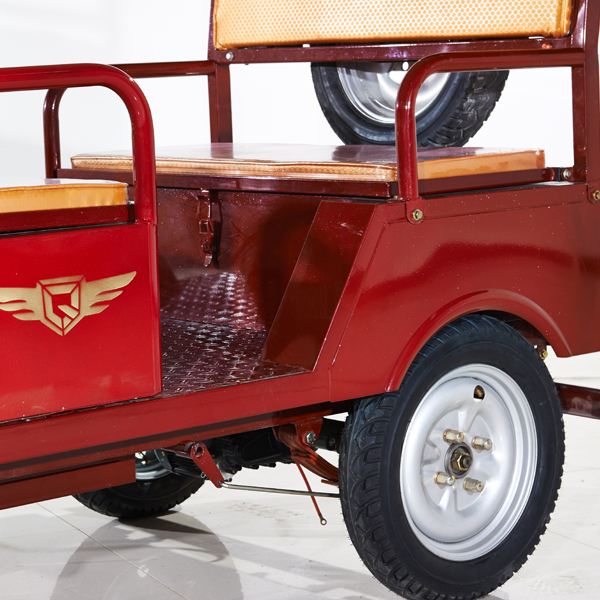 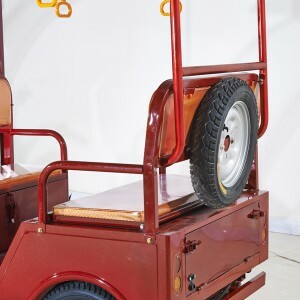 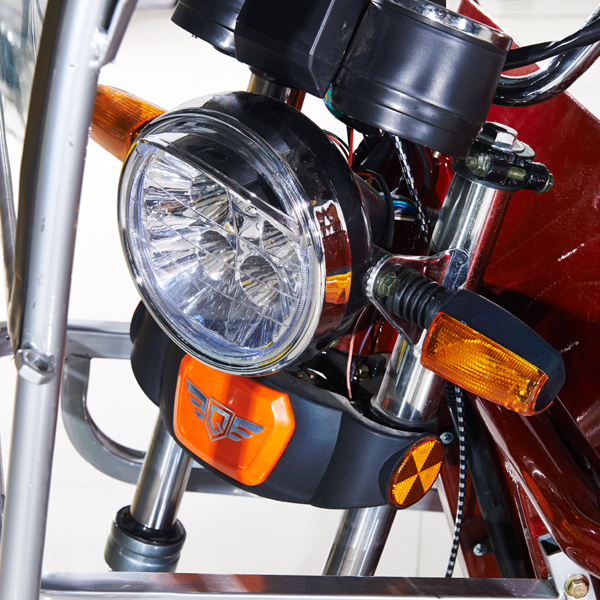 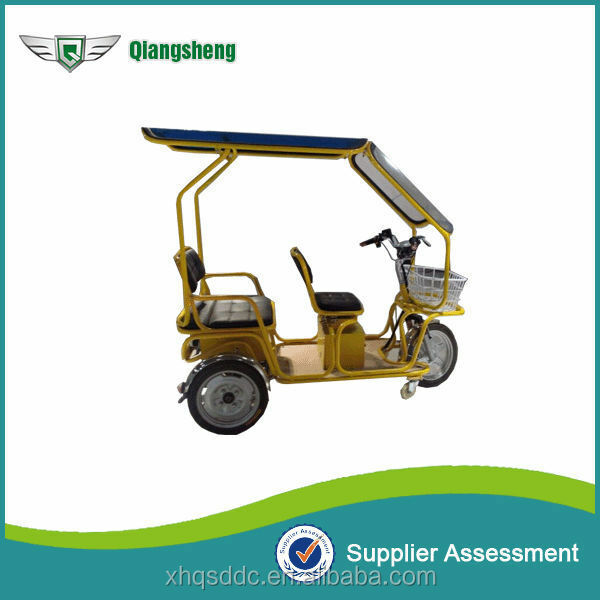 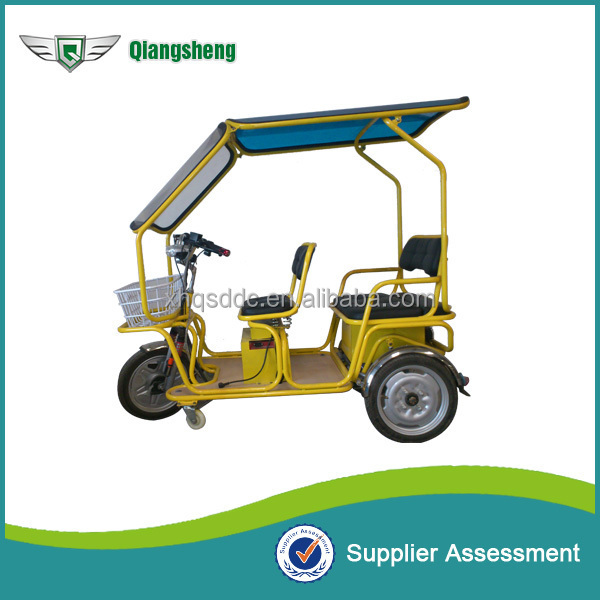 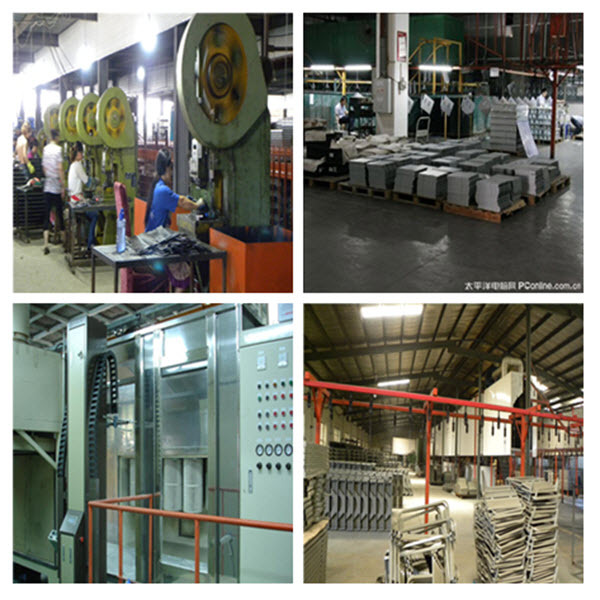 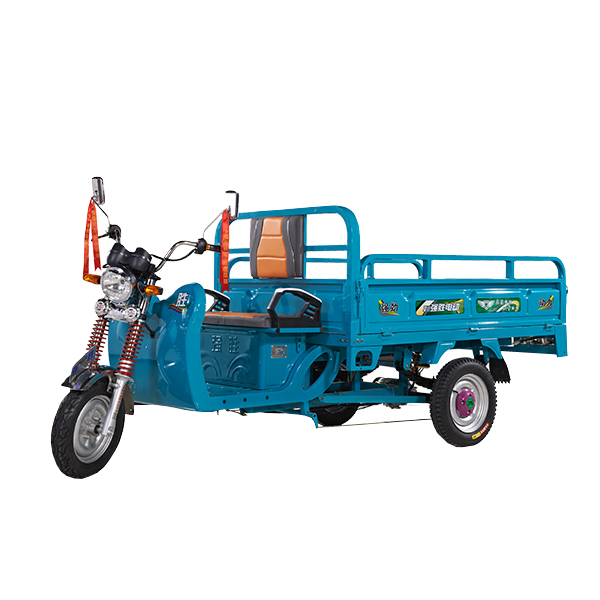 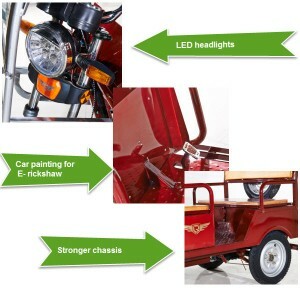 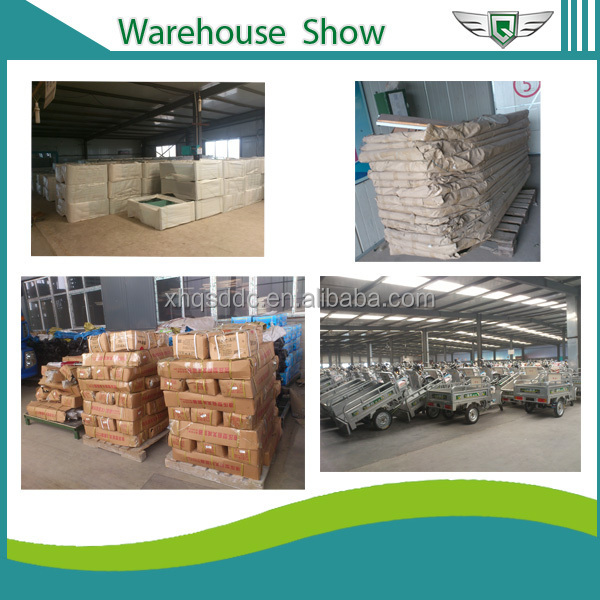 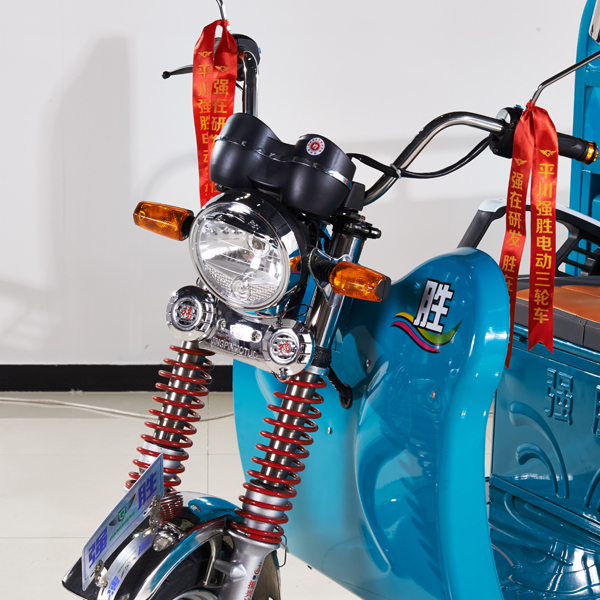 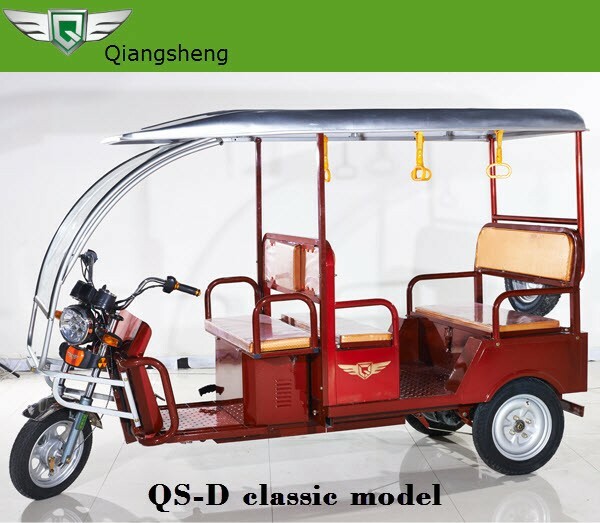 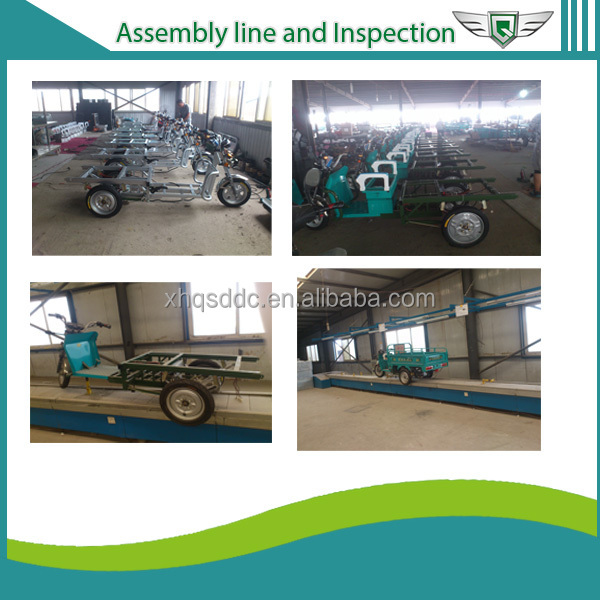 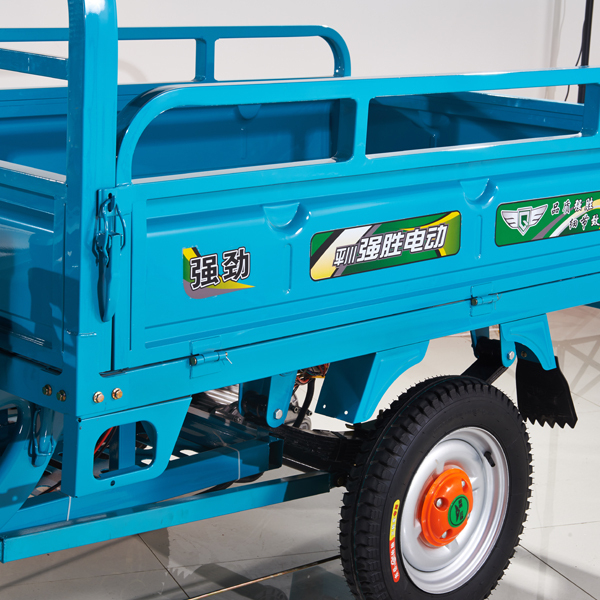 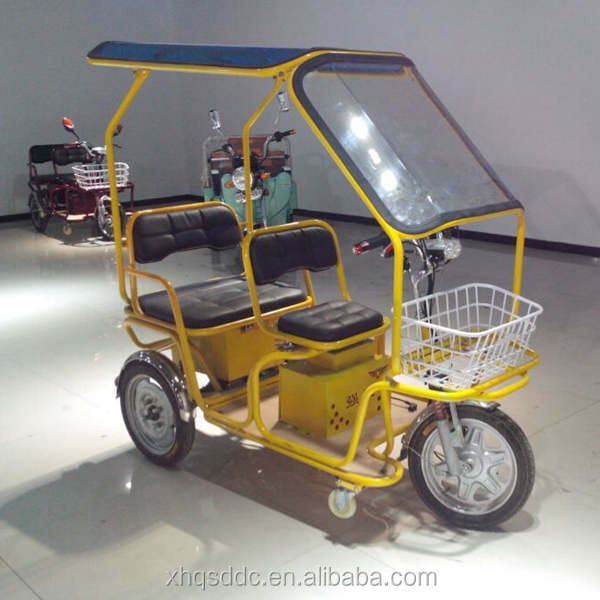 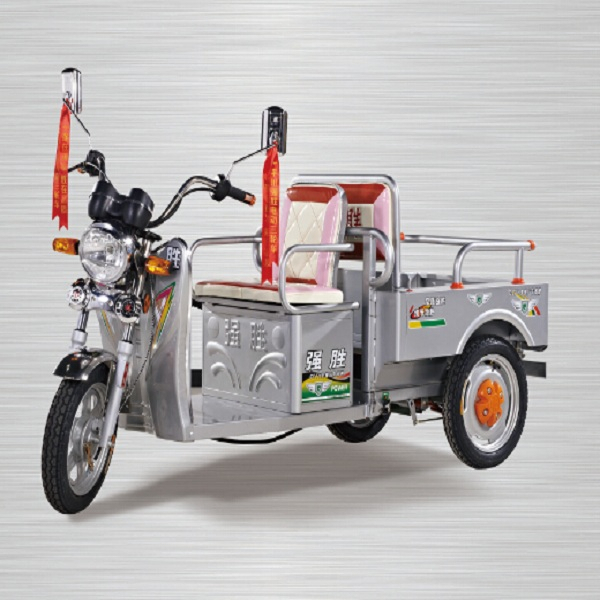 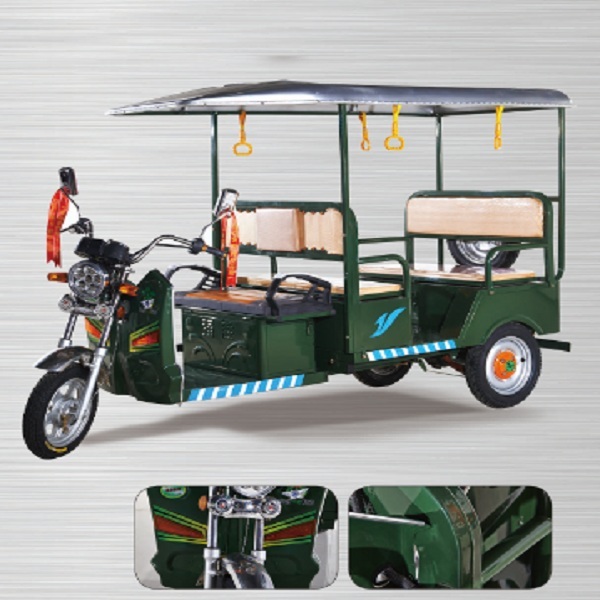 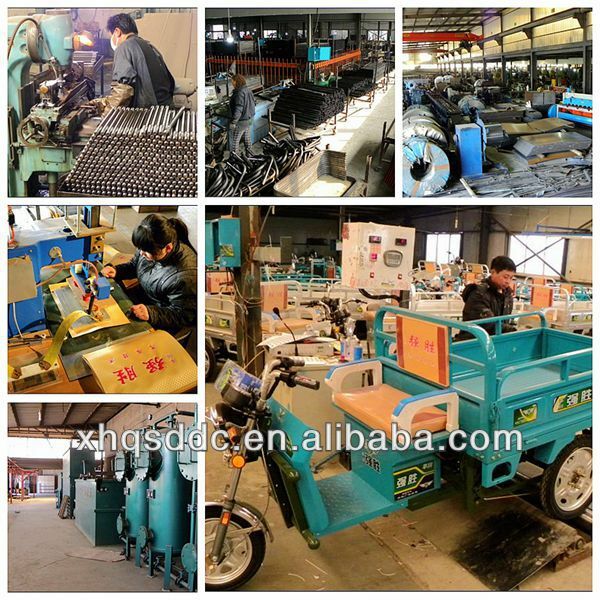 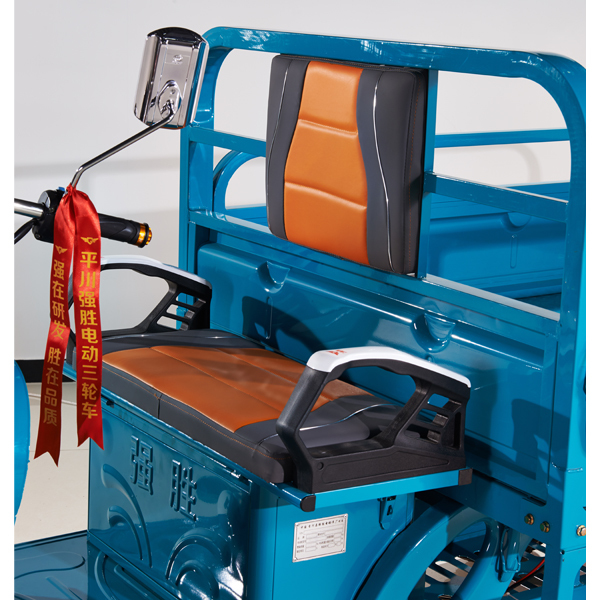 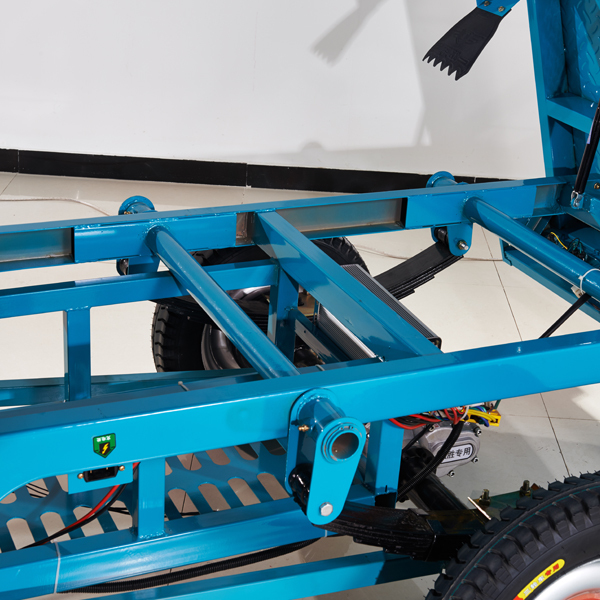 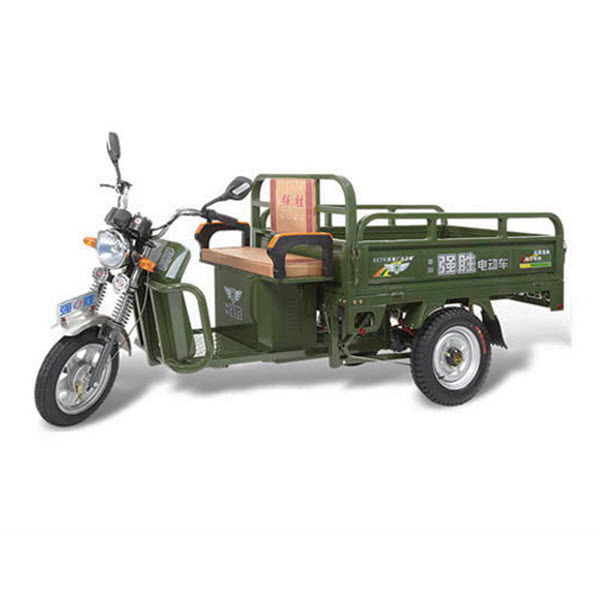 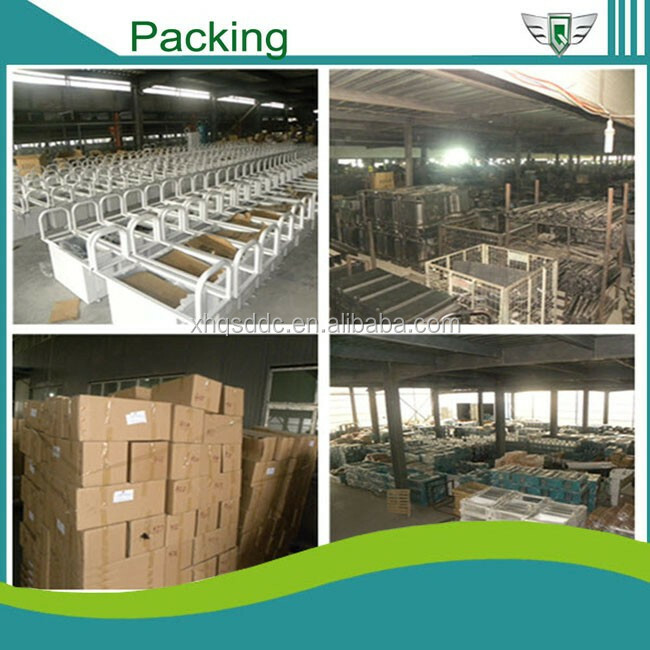 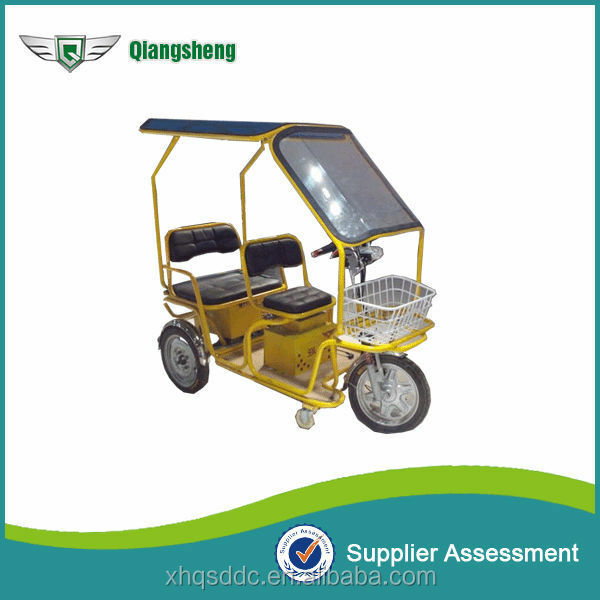 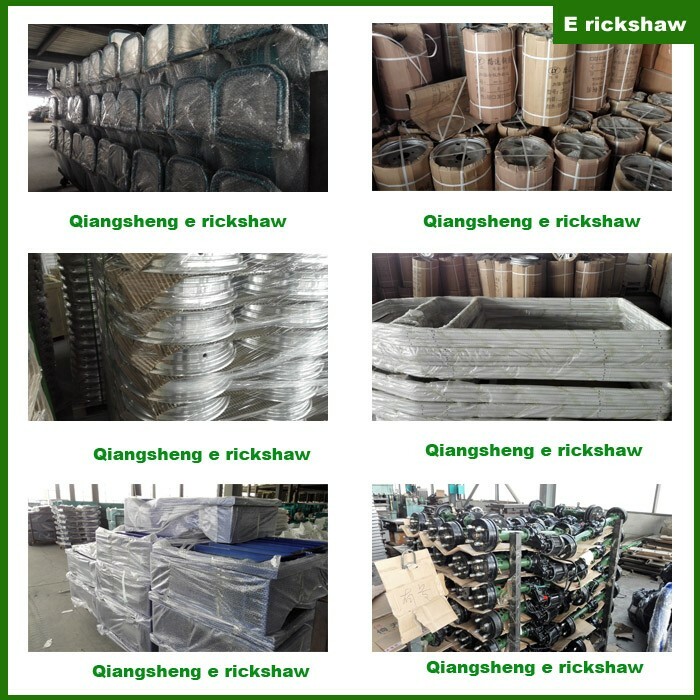 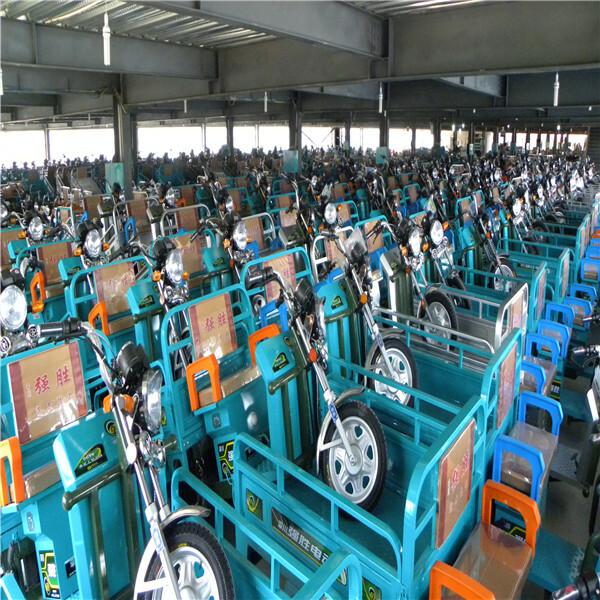 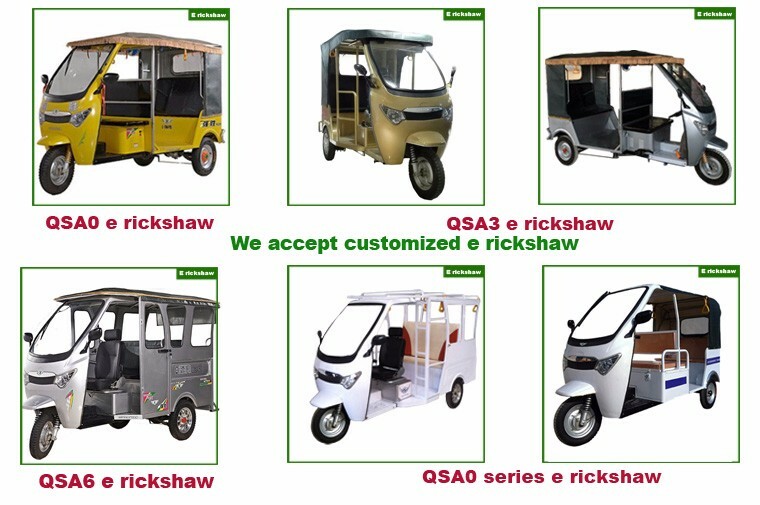 4.each type of our battery rickshaw, we would give five percent of the wearing parts.